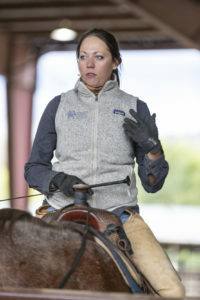 Best Horse Practices Summit presenter Amy Skinner will visit Maine for a weekend of private and semi-private lessons next month. Hosted by BHPS board member, Debbie Hight, she’ll be at Goldenwinds Farm at 412 River Road Norridgewock, on May 17-19. Lesson times are filling rapidly! Private lessons are $90 for 90 minutes, semi-private are $100 for 90 minutes, and auditing is $25 a day. Attendees are welcome to join Hight and Skinner for complimentary lunch on each day. Please email Debbie for more information dhight at tds dot net. The accomplished horsewoman teaches English and Western. 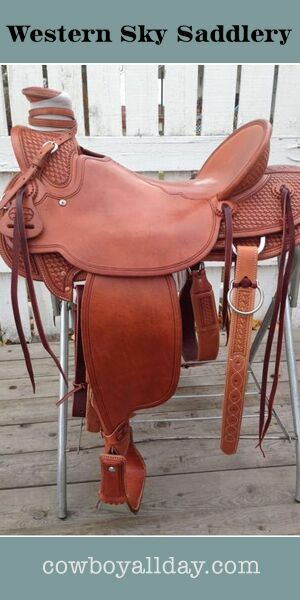 Skinner has studied at the Andalusian School of Equestrian Art in Spain, with Buck Brannaman, Leslie Desmond, Brent Graef, and many others. Additionally, she is an accomplished guest columnist for NickerNews and BestHorsePractices. Visit her website here. 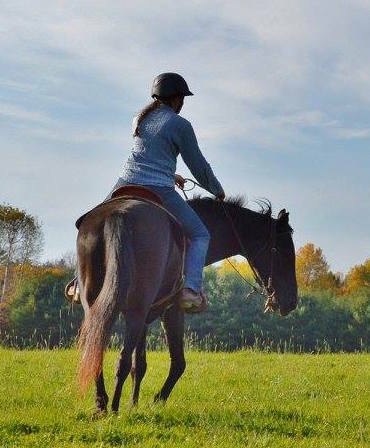 Currently living in Pittsboro, North Carolina, Skinner starts colts, works with rescued horses, and helps clients with a variety of challenges. Lessons at Goldenwinds start at 8 am and go until 6 pm. Each lesson lasts 90 minutes. Auditors are welcome. The weekend event will take place at an indoor arena, a 60’ x 120’ space. There are no overnight facilities and attendees are asked to bring their own horse supplies as well as people food. Posted in BestHorsePractices Summit, Events, Horsemen & Women and tagged Amy Skinner, maine.